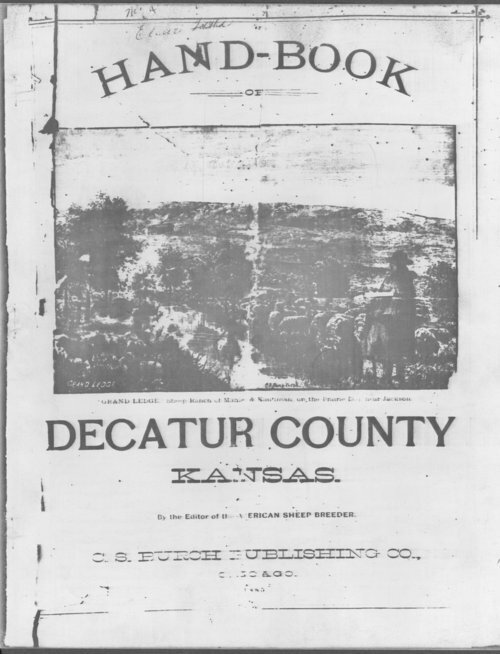 This handbook of Decatur County, Kansas, was published by C.S. Burch Publishing Company of Chicago. It includes advertisements, descriptions of landscape and climate, historical structures and noteworthy individuals, and information about ranches and townships.